How do noise-cancelling headphones work to improve listening quality? Call it active noise-cancelling, adaptive noise-cancelling, or active noise control — the technology in these headphones helps you press the “mute” button on your surroundings. It’s no surprise that they’re considered the best headphones for airplane travel! Take a look at this guide to learn how noise-cancelling headphones work, and whether they’re worth the price. Click each question to learn more about how noise-cancelling headphones work their magic. On a pair of active noise-cancelling headphones, each earcup or earbud has at least one tiny microphone that’s constantly “listening” to the surrounding environment. When you turn on the headphones’ power switch, noise-cancelling circuitry inside the earcups phase-inverts anything the microphone picks up, resulting in a sound wave that’s 180 degrees out of phase with the surrounding noise. 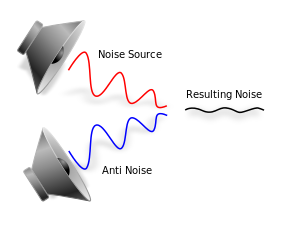 This phase-reversed “anti-noise” wave is like an upside-down mirror image of the original sound wave. When it’s played through your headphones, it cancels out the surrounding noise via a process called destructive interference. Just as +2 and -2 add up to 0, noise plus anti-noise adds up to silence. The result is a quiet environment to enjoy your music — or simply enjoy the sound of silence. What kind of noise do noise-cancelling headphones cancel out -- and what still comes through? We get these questions a lot: Do noise-cancelling headphones block snoring? Can noise-cancelling headphones block out voices? What about a crying baby? The answer is that the circuitry found in consumer noise-cancelling headphones works best on low frequencies. So, noise-cancelling headphones are best at cancelling out the lower-pitched, consistent, steady, droning background rumble and hum from fans and ventilation systems, vacuums, generators, machinery, trains, plane engines, and traffic. If the noise source is rapidly varying in frequency — like the sound of voices — noise-cancelling headphones don’t work so well. So, active noise-cancelling headphones can’t press the mute button on the crying baby or snoring passenger in the next seat. 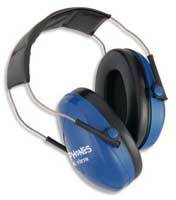 But they’re great for reducing constant, steady, cyclical noise like airplane engine hum. Plus, most active noise-cancelling headphones also have thickly padded earcups or sound-isolating in-ear earpieces that work as passive noise-isolation, helping to muffle those higher-frequency sounds in your environment. 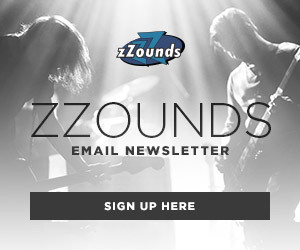 Can noise-cancelling headphones be used without music? Yes! Pause your music and use your noise-cancelling headphones to cancel out the world around you — great for sleeping or studying. Can noise-cancelling headphones play music with the active noise-cancelling turned off? Yes! While older Bose QuietComfort models did not pass music through when powered off, most current noise-cancelling headphones work in “passive mode” when the switch is off — even if the battery is dead! That said, you’ll likely want to keep your ‘phones switched on while listening to music, since they’re louder, clearer and more dynamic when they’ve got the battery power helping to bump your tunes. Can noise-cancelling headphones damage my hearing? If you plug any headphones into a super-loud source for an extended period, you run the risk of hurting your ears. But noise-cancelling headphones can actually help save your hearing. People have a tendency to turn up their headphones too loud in an effort to drown out a noisy environment. With active noise-cancelling headphones, you won’t need to blast your music as loudly in order to enjoy it in peace. What’s more, most music actually sounds better when it’s not at maximum volume — because most portable music players and headphones can start to distort and sound worse as they approach the very top of their volume range. With noise-cancelling headphones, you can listen to your audio at a reasonable level without hearing the background hustle and bustle. Are noise-cancelling headphones harmful to my health? Only if you’re wearing them in a hazardous environment! Headphones with active noise cancelling are designed to reduce ambient environmental sound. When you’re wearing noise-cancelling headphones — or any headphones, for that matter — you’ll be less likely to be able to hear sounds in the world around you. Since noise-cancelling headphones make outside noise more difficult to hear, the sounds of warning beeps or alarms may be altered. 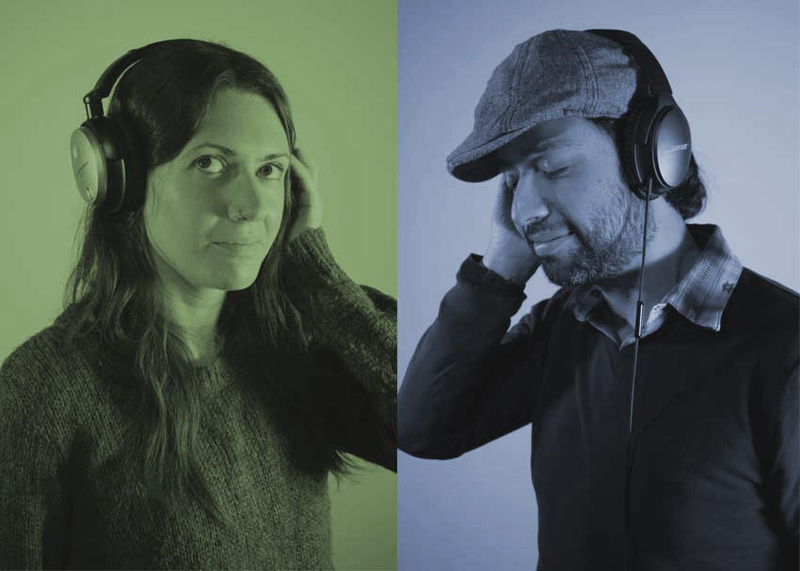 If you’re driving or biking, or in a factory, construction site, or train station where your safety depends on being able to hear what’s going on around you, it’s smart to turn off the noise-cancelling function of your headphones. Are noise-cancelling headphones worth the cost? Yes — if you’re using them for their specific intended purpose: reducing consistent background noise, so you can enjoy your audio. If you’re a frequent flyer, or your office has a constant HVAC hum, noise-cancelling headphones may be well worth it. But if you want a pair you can use as your serious music-making headphones, noise-cancelling headphones are probably not it. In the studio, you want to hear an accurate picture of what you’re recording — background noise and all. What are the drawbacks of noise-cancelling headphones? The main drawback is that active noise-cancelling circuitry is expensive, and the best noise-cancelling headphones don’t come cheap. You could likely spend the same amount of money on high-end audiophile headphones and get better sound — but you wouldn’t get the cool noise-cancelling wizardry. Secondly, there’s the battery. Active noise control requires a power source. In some headphones, it’s an AAA battery, which lasts around 30-40 hours. 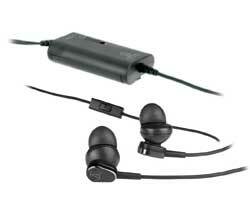 In other headphones, it’s a USB-rechargeable internal lithium-iron battery, which lasts around 15-20 hours per charge. These batteries make your headphones a bit bulkier, and of course they require recharging or replacing. Finally, if you’re using your headphones as a smartphone headset, keep in mind that with noise-cancelling turned on, it can be tough to judge how loudly you’re talking! Passive vs. active noise cancellation: What’s the difference? Both passive sound isolation and active noise cancellation help you hear more of your music and less of the outside world — but in very different ways. As explained above, active noise-cancelling headphones use miniature microphones and battery-powered electronics to detect noise around you, and generate an “anti-noise” wave that cancels it out via destructive interference. Passive sound isolation is simply a means of sound-proofing your ears from your surroundings. Sometimes, headphones’ sound isolation is referred to as “suction” for the vacuum-like way the earcups seal against the wearer’s head. Passive sound-isolating earphones or earbuds work like earplugs: the foam or rubber sleeves fit inside your ear canals, blocking outside sound. Unlike active noise-cancelling headphones, sound-isolating headphones do not require electronics. However, most active noise-cancelling headphones also offer some degree of passive sound isolation with thickly padded earcups or earplug-like foam sleeves. Around-ear passive sound-isolating headphones look a lot like the ear protection headsets used in shooting sports, covering the entire ear. They’re quite bulky to be carrying around for casual listening — but drummers are known to use this type of sound-isolating headphones in the studio to hear click tracks and other musicians over the sound of their own kits. Unlike your typical headphones for portable listening, most noise-cancelling headphones don’t come cheap. Audio-Technica has gone up against the more famous expensive models in the noise-cancelling arena with their QuietPoint series — headphones that deliver serious environmental noise reduction for a more affordable price. 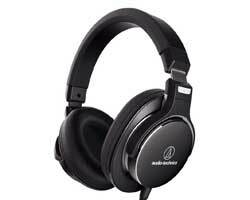 The Audio-Technica QuietPoint ATH-ANC7b noise-cancelling headphones have a very high impedance of 300 ohms — which would usually mean they’d be lower-output — but these are powered headphones with one AAA battery tucked away in the right earcup. They’re plenty loud, and your smartphone or tablet is powerful enough to drive them. The AAA battery lasts for about 40 hours of active noise-cancelling — and when it’s dead, the headphones will still pass audio in passive mode (although they won’t sound as loud, or as good.) The Audio-Technica QuietPoint ATH-ANC7b-SViS model is the same pair of cans in a slightly different finish — with the addition of a smartphone remote cable with an in-line mic and remote controls. Great earbuds for commuters, Audio-Technica QuietPoint ATH-ANC33iS noise-cancelling earphones feature a compact noise-cancelling control to filter out unwanted noise. There’s an integrated microphone and remote for controlling playback and volume, and an included AAA battery. Earphones like these are already great at isolating you from outside sounds, so if immersion in your music is your thing, try these. 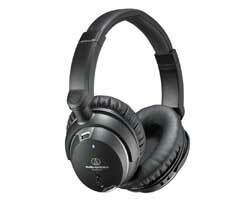 A step up from A-T’s ANC7b models are the Audio-Technica ATH-ANC9 noise-cancelling headphones. This model senses the surrounding noise with four microphones — two in each earpiece — and delivers three DSP “modes” of active noise-reduction to fit different environments. It’s also got a smartphone cable — plus it’s got luxurious memory-foam padding on the earcups. 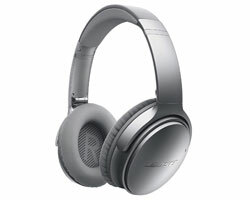 Bose noise-cancelling headphones get a lot of love for a reason. The Bose QuietComfort 35 II headphones are noise-cancelling and wireless — a big plus, since there are no cables to get you tangled up during your silent travel bliss. QC35 II headphones also include an in-line remote and microphone, so you can take phone calls. These are some of the best noise-cancelling headphones you can buy. 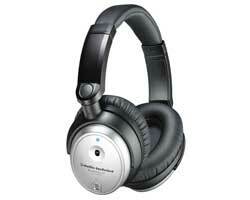 Right on par with Bose noise-cancelling headphones are Audio-Technica’s ATH-MSR7NC headphones. While less expensive Audio-Technica noise-cancelling cans require an AAA battery, the MSR7NC pair has an internal rechargeable battery that will last you 30 hours. We love the original ATH-MSR7 model without the noise-cancelling circuitry — they look and feel luxurious and sound great, yet they’re not exorbitantly priced compared to other audiophile headphones. So it stands to reason that the noise-cancelling version (which adds an “NC” to the end of the product name) is a winner as well. These come highly recommended if you don’t think you’ll be using the noise-cancelling circuitry at all times, and simply want a great pair of all-around headphones. A few days before I was searching for the earphones with the low profile metal hardware and with a modern design. Then one of my friends suggests me to buy the Sound Magic E10C earphones. Actually, he had the same earphones and he is happy with the sound clarity and with its quality. Thanks for the recommendation! Those look like a similar design to the Ultrasone PYCO earphones. However, the PYCOs are pricier, since Ultrasone is a luxury/professional brand. Remember that neither the SoundMagic E10C nor the Ultrasone PYCO earphoens have active noise cancellation circuitry (like the noise-cancelling headphones in this buying guide do). However, because they seal inside your ear canals, they ought to provide a great deal of passive noise isolation. I’m looking for something slightly different. I don’t want to listen to music. I want to hear the people around me while blocking out background noise. Any ideas of a product for this purpose. Hi Ken — This is a bit of a tall order. Your headphones can’t necessarily tell the difference between what it is you want to hear and what you don’t. We spend a great deal of time sorting out the “signal” from the “noise,” which is why your ears are next to your brain! Modern hearing aids, which are like tiny computers, have “speech enhancer” technology that helps the wearer hear speech through background noise. In fact, a hearing aid may do exactly what you need. Another option is to try a pair of active noise-cancelling headphones that DON’T have a lot of PASSIVE noise isolation. 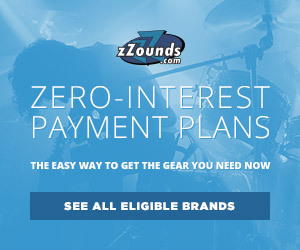 In other words, you’ll want headphones that DON’T seal around your ears, or seal inside your ear canals. 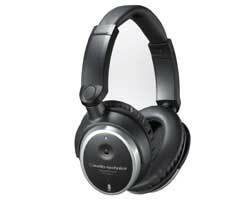 For that, you might try the Sennheiser PXC 250-II.